Intalock has acted on plans to expand capabilities across Australia, through a double senior leadership hire and potential merger deal. The Brisbane-based business has appointed Nicholas Adamo as chief operating officer, in a newly created role designed bolster capabilities across advisory services, while also broadening the company’s customer base. Adamo was most recently CEO of Immersive Insights, a Sydney-based corporate advisory and technology services firm for start-ups and early stage ventures. As a result, plans are underway to merge the Intalock and Immersive businesses, bringing together intellectual property and technical capabilities to provide strategic advisory offerings to the wider market, backed up by managed services across security, information, analytics and digital solutions. To facilitate such growth, the provider has appointed Broderick Smith as head of advisory services, in another newly-created role designed to expand expertise across advisory services. Collectively, the double hire and potential merger stands to strengthen capabilities from a geographical and technical standpoint, as the business seeks to expand outside of Queensland. “Intalock will continue to partner with clients to deliver insights and transformational solutions by solving real business challenges,” Intalock CEO, Julian Haber, said. Prior to the COO role, Adamo spent five years at Ernst & Young, most recently as the strategic growth and acquisitions leader for the Advisory Group. 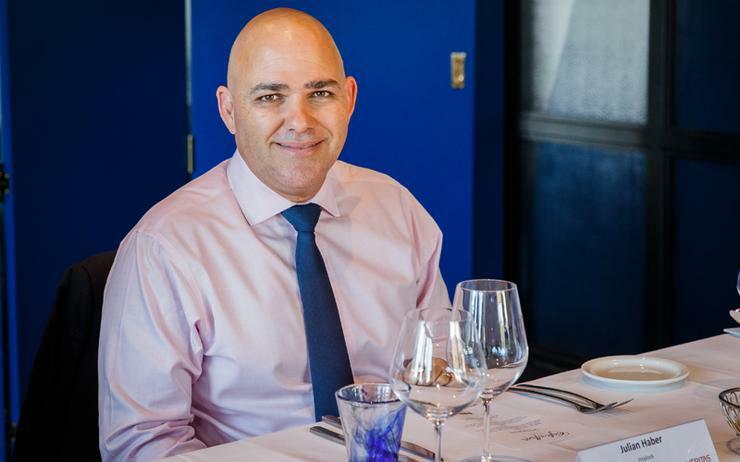 Before EY, Adamo was national lead partner for Deloitte Australia’s forensic technology group, having been appointed to the role after his company, Forensic Data, merged with Deloitte in 2007. “The response from the market and most importantly our clients has been overwhelmingly positive,” Adamo added. Meanwhile, Broderick joins Intalock as founder of Onetick Technology, an online payment solution for the insurance industry. The company was recognised at the 2018 FinTech Business Awards as a finalist in four categories and was the Insurance Innovator of the Year at the 2017 FinTech Business Awards. “Broderick brings valuable experience and a sought-after skillset to Intalock,” Haber added. “As Intalock expands its service portfolio, Broderick is leading the development and expansion of our advisory services. Broderick was most recently director and principal at Bromily, a management consulting firm specialising in innovation, strategy and business transformation. Prior to this, he was co-owner and client relationship executive of IT specialists, Commulynx. “I’m looking forward to supporting our clients with strategic advisory services, whether it’s enabling their digital transformation journey or supporting them to overcome IT and security challenges they may face,” Smith added.